Another cool show! This one is november 1 from 12-4 at 2707 Spruce St at Common Threads and features the work of some very cool local artisans including myself and my good friend Shannon Sunderland of Hot Mama Designs. 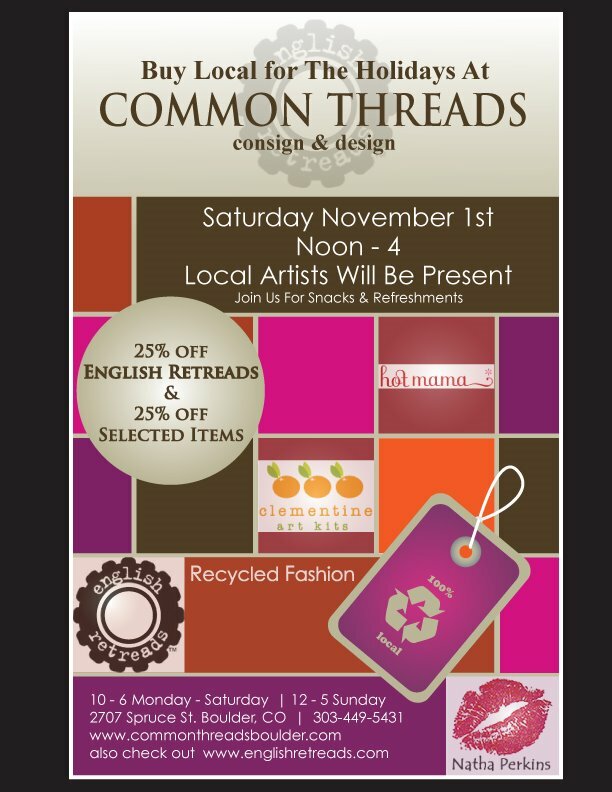 Common Threads, a relatively new store here in Boulder has an amazing concept not to mention a lovely, light and airy space. Common Threads is successfully merging high end consignment with a creative lab, offering classes like belt making, knitting and silk screening. The best part is that they employ young men and women from AIM House, whose mission it is to help individuals discover how capable, resilient and resourceful they truly are. I hope to see you all at the show on November 1. Come see me and check this great store out.